In consideration of the most recent findings obtained through the debate between archaeologists and historians on the nature of the settlement of Pithecusa, the article re-examines the data of archaeological research and those of the literary tradition by highlighting the convergences between the two sets of documents. Analysis of the literary sources reveals the persistence of the tradition on Pithecusa, which is an indication of the settlement's autonomous character. It can be inferred therefrom that Pithecusa may rightly be considered a polis, albeit in the form and style typical of an 8th century BC community. The more significant versions of the foundation of Taras present the protagonists of the colonization episode in a clearly negative light in the eyes of contemporary Greeks. The negativity of the characterization is to be traced back essentially to the exigency of accounting for the name of the colonists (Partheniai: maiden sons) and to the subversive role attributed to them at Sparta. Indeed, if projected into the world of the epic, the name sheds its every discreditable connotation, whereas if set in the early structuring phases of the Spartan state, enforced expulsion may be linked to the definition of the requisites that guarantee full integration into the community which was being founded. The name Partheniai thus presumably refers back to the original core of traditions of the foundations of Taras and to the historical context in which it had its origin; at the historiographical level, moreover, the persistence of a name which came to have negative connotations shows that limits existed to the possibilities of manipulating the past and updating the traditions. The present contribution sets out to examine the anthropological status of the Homeric warrior, that is to say the human person who in the ambit of a given social organization is defined in accordance with a peculiarly male function, such as that of war, which influences his actions and behaviour. To this end the actions performed by the Homeric warrior are taken into consideration, and not - as a well-established trend would have it - the manner of his death and the significance attached thereto. More particularly, attention is focused on Diomedes' aristeia, the Iliad's first individual action in war, taken as narrative paradigm of warrior behaviour. The article presents a brief outline of the history of the studies and interpretations, beginning with late nineteenth-century British evolutionist anthropology, of the complex ritual system of Greek mysteries. Even today the picture which emerges from the comparison between Greek mysteries and ritual mystery forms from other cultures, even though contributing towards identifying a 'mystery model', does not allow one to define the status or to identify the origin of the mysteria; the same possibility of considering them as a special category of cults or a typology is problematic. 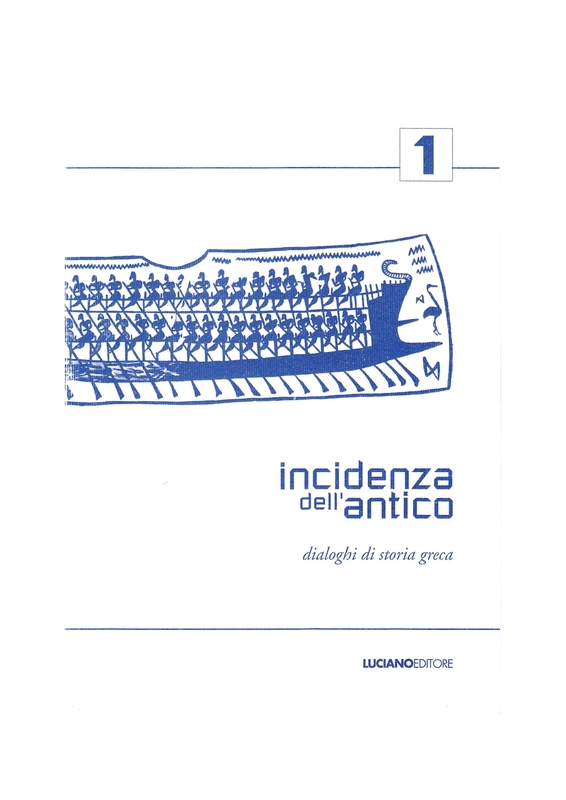 Likewise, comparison between Greek mysteries of the archaic-classical age and the Greek mysteries of the Hellenistic, Roman and late-ancient age proves methodologically incorrect: the mysteries of the archaic-classical age, as the religious expression of the world of the poleis, appear to be characterized by a retrospective orientation and to solve the 'crisis' by renewing the present through ritual; the mysteries following the new order imposed first by Alexander and then by Rome take on a prospective orientation: to the future is assigned the task of giving meaning to the present, eschaton takes the place of exemplary history set at the time of myth. Within the corpus of the funerary paintings of Paestum, Tomb 114, which was found in the necropolis of Andriuolo and datable to 330/320 BC, represents an anomaly on account of the presence of a battle-scene the interpretation of which has been subject of recent studies designed to identify the war episode depicted therein in the light of literary sources. There is reason to believe however, that, albeit characterized by a 'historical' narrative intent, this picture is not meant to allude to a real factual event, but wishes to legitimize the affiliation of the deceased - who in all likelihood is to be identified as a mercenary recently integrated into the community - at the highest echelons of society, celebrating his warrior virtus. Pictorial expressions of this type among the more politically-structured Italic communities make up for the absence of a written tradition and allow one to catch a glimpse of a narrative heritage parallel to the Roman one and capable of expressing itself in realizations analogous to the tabulae triumphales with historical subjects. The article addresses the problem of interpreting the units of weight-measuring documented by a series of silver plates with votive inscriptions from Posidonia and its territory, showing how they are closely linked in a single series of measures. Xenoph. 21 B 17 DK is the only fragment which demonstrates a relationship between Xenophon and Dionysism. The term bakchos that recurs in this fragment in the sense of 'votive branch' is very likely to be of Lydian origin and must have been used to describe a Dionysiac ritual interpreted in the manner of the Lydians. The article examines certain aspects of Lydian Dionysism, of which close relationship is demonstrated with the exaltation of values such as wealth and tryphe. Also the testimonies of Dionysism at Klaros-Kolophon show the link existing between the philo-Lydian sacerdotal aristocracy, tryphe and Dionysiac ritualism. Hence the hypothesis that the experience of Dionysism of the lydizontes of Kolophon inspired Xenophanes to criticize the immorality of Bacchic rituals. S. Hodkinson's recent book on Property and Wealth in Classical Sparta has reached definitive conclusions on many aspects of the Spartan economic system. On the puzzling question of the archaia moira, however, the reconstruction put forward raises certain doubts. As is well known, a passage from Herakleides Lembos' writings On the Constitutions states that the sale of the archaia moira was forbidden at Sparta; although the context of the passage seems to assure that this 'ancient portion' was land, it has been argued that the archaia moira actually was the tribute from the land paid by the helot farm workers to their Spartiate landowners. This article re-states the usual identification between ancient portions and plots of land, and denies that this and some other evidence on Spartan land tenure may be ascribed to the propaganda of a third-century revolution. Strabo's testimonies on Elis, the geographical coordinates of which present significant convergences with those reported by Ptolemy, refers to the Homeric datum, of which an explanation and interpretation is also given. Pausanias' evidence retraces mythical traditions as well as historical ones, sometimes adding a brief comment thereto. It appears evident however, that the Elis the two authors know, was not the same as in archaic times and in the Homeric epic tradition. The story of Elis in the late testimonies of Strabo and Pausanias passes through historical phases and through traditions which have had a bearing on regional areas and their respective human presences. Myth and history mark these stages: the former presses around the figure of Herakles, the Trojan war and the return of the Herakleidai, while the latter has the institution of the Olympic Games and the Persika as its most ancient points of reference.